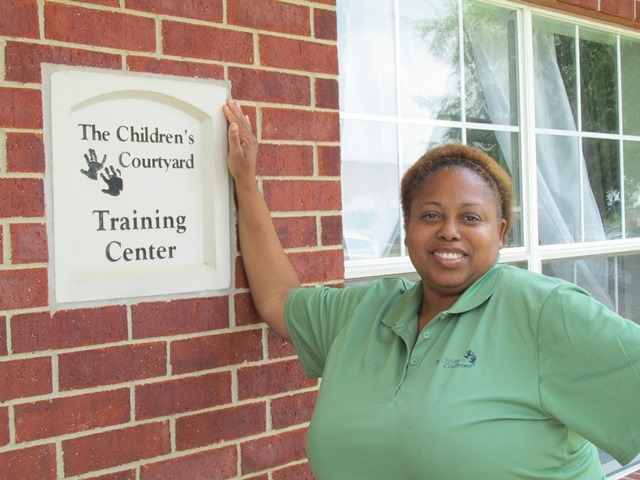 Ms. Rolanda is the preschool master teacher and safety captain at our Children’s Courtyard Master School in Lewisville, TX. She has worked at the center for nearly 22 years and studied child psychology, philosophy, sociology and child development in college. Read on the learn more about Ms. Rolanda and what it means to teach at one of our Master Schools! Why did you decide on a career in early education? My mom would always ask “What do you want to do in life?” and I always wanted to work with young kids. It’s important to know that you’re taking young minds and you’re teaching them and guiding them through different aspects of education. But not only that, we’re also helping parents. We’re helping them to lay the foundation and helping them to lay the path for their kids’ daily journey through life. I am humbled and grateful that I’ve been given the gift to be able to interact with kids and give them the love and the nurturing they need. How is it rewarding to you? To know that there are kids I have taught that are now in the fourth and fifth grade, that when they see me again, they remember me, they remember the classroom. I was so overwhelmed when it came to my 20th anniversary celebration here, to see that my former students wrote me letters saying how much they missed me and they were glad for me. What was your 20th anniversary like at The Children’s Courtyard? Can you describe what the Master School is? In each classroom we have Master Teachers, and Master Teachers are there to mentor and train teachers that are hired through our company for other schools. So if a teacher is going to work in a preschool classroom, she comes to me for training. We also train teachers for our own building. After 22 years, what do you still love so much about teaching young children? People ask me that all the time. I love working with the kids and the families. And with the Courtyard, even when I first started with them, it was just a family feeling throughout. If I go somewhere else, I’m not going to be able to be who I am. I like to think outside the box, as long as it pertains to what I’m teaching and what I’m all about and what the Courtyard is all about. Why is early education so important? It’s important that we start out guiding the students and showing them new things in life. I think it’s very important for the parents, also, that when they’re leaving their children with us, that they’re getting not just teachers, but someone that will be a part of their family Someone to help guide their child. I don’t want any parent that comes through my classroom or through this building to feel guilty when they drop their child off. We are the tools to help the parents prepare their children for an education and for life.